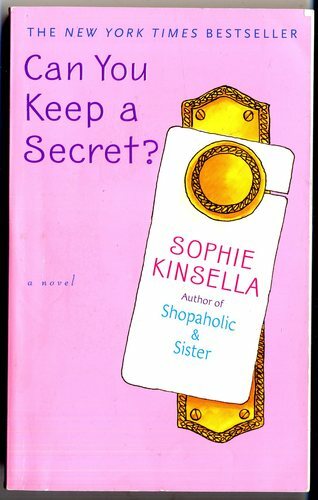 If you love the Shopaholic books (like I do! ), then you will love this one! The book starts out when the main character, Emma, coming home from a horrible business trip and her plane starts experiencing some wild turbulence. Emma, who has a huge fear of flying, is convinced the plane is going to crash and she blurts out all her secrets to the handsome man sitting next to her. Loveable Emma’s plane doesn’t crash, obviously, and she shakes off the incident telling herself that she will never see the stranger again. A few days later her office is buzzing about a special visitor coming to the office. Soon, Emma realizes that the stranger she shared her secrets with on the plane is, in fact, Jack Harper, CEO and co-founder of the company she works for. Emma was hoping for a promotion, and now she’s sure she is going to lose her job. Emma’s in for a surprise, however, when she realizes that the man she spilled all her most personal secrets to, has a few of his own. She starts to realize that things aren’t always as “perfect” as they seem. Kinsella does a great job of making Emma a likeable character. The reader feels like they really know her and think of her a friend. I was cheering for Emma through all the disasters she encountered. This is an awesome book to take and read by the pool, at the beach, or out on your deck (like I did!). It’s a very easy, light read. I finished it in one day. I literally laughed out loud at during some of crazy things that happened to poor Emma. Although it was somewhat predictable, there are some slight twists that keep it interesting. If Jason’s piles of Sport’s Illustrated get too high some of them find their way into the recycle bin. This is my first ever book review and I was really nervous when I hit “publish”! Any Secrets you would care to share?? As someone who reads book reviews for a living, I say this is a great review! And Daisy is pretty dang cute!